Peter repented of denying Christ and was established as the leader of the apostles. Judas repented of betraying Christ, hung himself, and went to Hell. 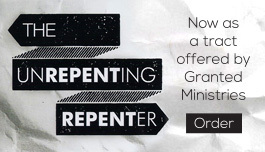 Clearly not all repentance is the kind that leads to salvation. But that raises the difficulty of figuring out whether your repentance is biblical or shallow.